Due to the nature of our class there are a lot of badly equipped boats (usually older boats) within the class that are frankly barely suitable for sailing never mind racing. After four years of coaching within the class it quickly became noticeable to me that a lot of people, particularly children, were getting put off sailing and Mirrors as a result of sailing these badly equipped boats. 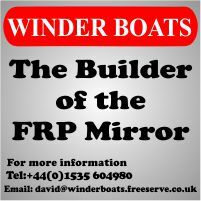 This has led me to put together a few pages of simple modifications that you can make to your boats in order to totally change the Mirror Sailing Experience regardless of your sailing genre. 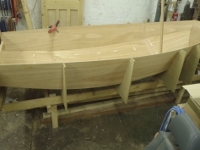 All the modifications can be completed for under £165 and with minimal time and effort (many boats will already have some of the modifications). A common example of non-sailor-friendly controls are boats without jib cleats or boats with jib cleats angled incorrectly resulting in crews having to permanently hold a full load bearing jib sheet. Another example would be a very wobbly rudder/tiller system where the rudder blade wobbles in the stock and the tiller extension joint is wobbly, resulting in the helm having much reduced control of the boat along with much reduced feedback of the boats’ behaviour. Many of our members are sending our children out in boats equipped like the above. No wonder they are not enthusiastic about Mirror sailing – when the crews hands are feel like they are falling off due to badly set up/non-existing jib cleats and they have capsized the boat due to an inadequate rudder control system. “Yes but £165 is a lot of money!” I agree with you there however, the two above modifications can be completed from less than £10 and about 1 hour of your time. You’ll be amazed how much a difference a “working boat” will make to your / your children’s sailing (editor's note - fittings & ropes can be purchased from a Chandlers). 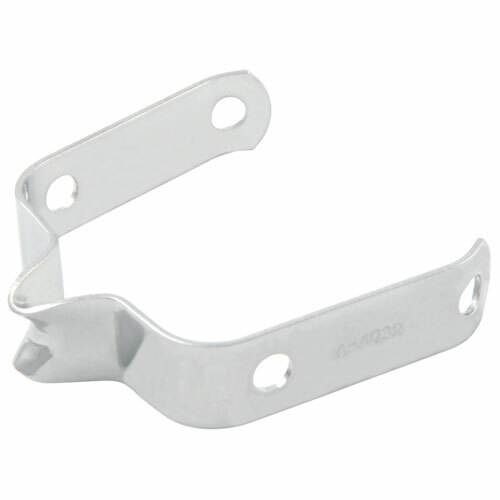 Ensure you gaff band is of the ‘New’ type, as pictured above. This allows the gaff to be raised so there is no gap between mast and gaff. Price - £5. Ensure your main halyard & jib halyard are made from NON-STRETCH rope (i.e. with a dyneema/spectra core such as Marlow Ropes Excel Racing) with a 4mm diameter for the main halyard and a 3mm diameter for the jib halyard. Price - £30. 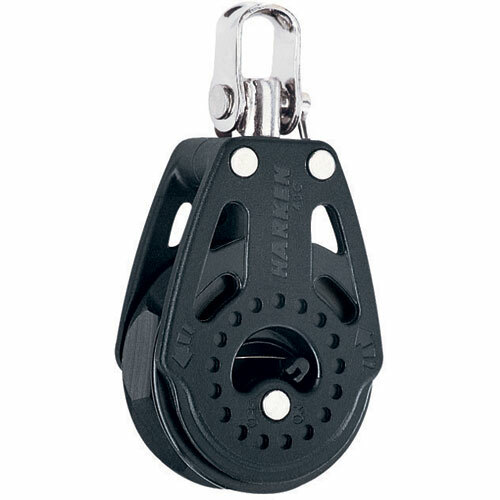 Ensure the main & jib halyard cleats are of ALLOY Clam Cleat type shown above and they are positioned on the rear side of the mast below the gooseneck. Price - £5 each. Ensure the jib cleats are pointing to where the crew would be sheeting the jib sheet from while hiking. Also ensure they are raised with a small chamfered wooden block or special plastic raiser, this makes cleating of the sheet possible while the crew is hiking. See diagrams above. The same principal applies if the fairleads on mounted on the thwart (editor's note, more details here). Price < £2. Ensure the main and jib tacks both have separate NON-STRETCH rope ties (i.e. with a dyneema/spectra core such as Marlow Ropes Excel Racing – Usually 2 or 3mm dia.) for attaching them to the Mast and Forestay respectively. See diagrams above. Price < £1. Ensure the rudder blade does not wobble side-side in the rudder stock. This can be avoided by inserting packing washers (flat surfaces of ice cream containers / compact discs) either side of the rudder blade inside the stock. See diagrams above. Price < £1. Fit a tiller extension with a rubber joint. This eliminates all ‘play’ in the tiller / tiller extension control system. Price £20. 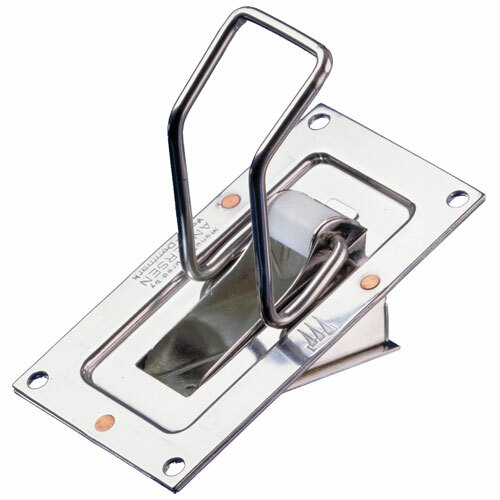 Ensure the boat has a self-bailer fitted similar to the one shown above. Price £25. Make a large hand bailer from a 5 Litre plastic petrol can with the front end cut off, or buy one designed for an Oppie like the one above (Oppie sailors do lots of serious bailing) Price £5. Bailers similar to the one pictured below are not suitable for a Mirror; they are far too small. 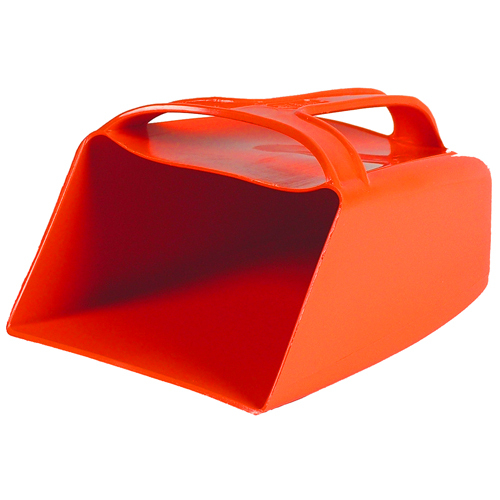 Mirror sailors should be using hand bailers with a capacity of 4 litres or greater. For enhanced control over the mainsail leech use a 4:1 Kicking Strap (Vang), minimum configuration can be seen in the diagram above. Price from £13. 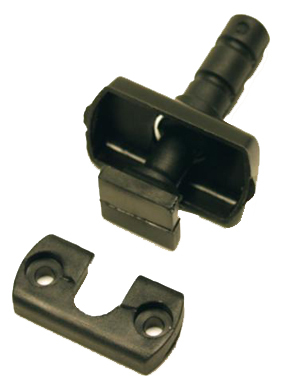 For enhanced control over the mainsail (Force 3 >) use a Ratchet Block similar to the above. Price from £25.